Weighty Matters: Giving Back! TrenchTalks Discounts and Now Free to Students! Giving Back! TrenchTalks Discounts and Now Free to Students! I blogged about them a ways back. They're called TrenchTalks and they're what I see as the answer to boring CME - great speakers, only clinically relevant discussions, intimate settings, ever-flowing coffee and absolutely no one reading off slides. 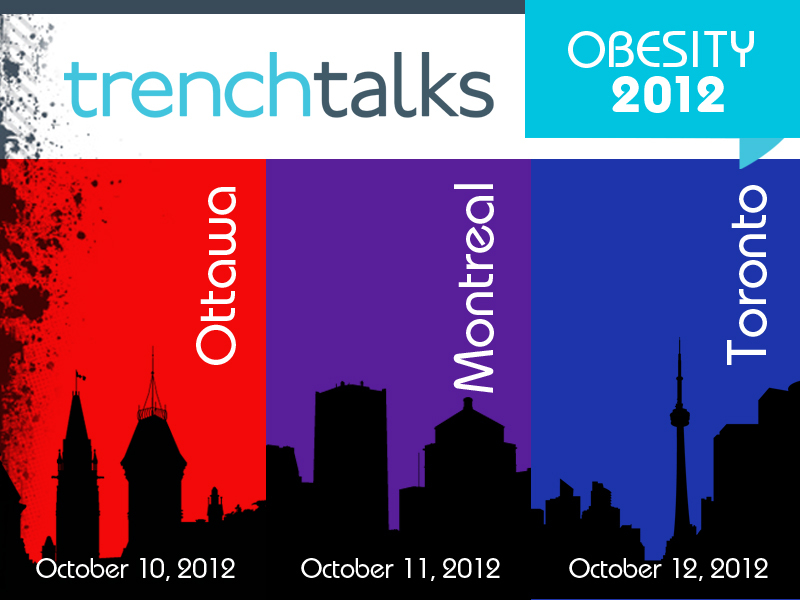 Our first TrenchTalks are (go figure) TrenchTalk Obesity and they're taking place October 10th in Ottawa, October 11th in Montreal and October 12th in Toronto. Dr. Jamie Beckerman author of the Flex Diet, Medical Director of the PlaySmart youth cardiac screening program, Chair of the Oregon Governor's Council for Physical Fitness and Sports and the team cardiologist for the Portland Timbers Major League Soccer team. Dr. Laz Klein, co-author of The Complete Weight Loss Surgery Guide and Diet Program, and Head, Division of General Surgery, Humber River Regional Hospital, Toronto. Joanne Kurtz, one of my office's stellar dietitians and someone who doesn't just walk the talk, she runs it. University faculty pay half price ($75)! - call our office at 613-730-0264, give us your University affiliated email address, and we'll send you the discount code. Everyone else if you buy 3 admissions, you'll get one free! Just use the promotional code 341 when signing up. Thus far the Ottawa based TrenchTalks program has been accredited by the College of Family Physicians of Canada and the Ontario chapter for up to 5.5 Mainpro-M1 credits and the paperwork has been submitted for Toronto and Montreal. Don't delay - seating is limited and these deals are first come, first served. 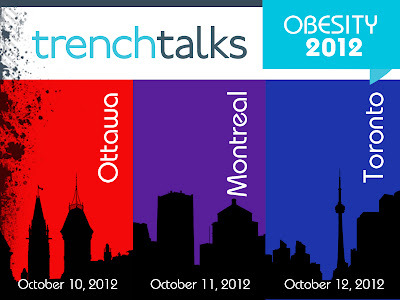 To take advantage of these offers - head over to our TrenchTalks registration page and give us your deets.